Seriously though – One of the most amazing casts we’ve ever seen is set to take the big screen, and Charlotte Motor Speedway, by storm in Logan Lucky. Combine these amazing actors with Nascar and Steven Soderbergh and you’ve got a MUST SEE!! Check out the trailer & clear your calendars for mid-August. Logan Lucky is primed to be the sleeper hit of the summer. Synopsis: The Logans are a hardscrabble family from the hills of West Virginia, and their clan has been famous for its bad luck for nearly 90 years. But the conniving Jimmy Logan (Channing Tatum) decides its time to turn the family’s luck around, and with a little help from his friends, the Redneck Robbers, he plans to steal $14 million from the Charlotte Motor Speedway. 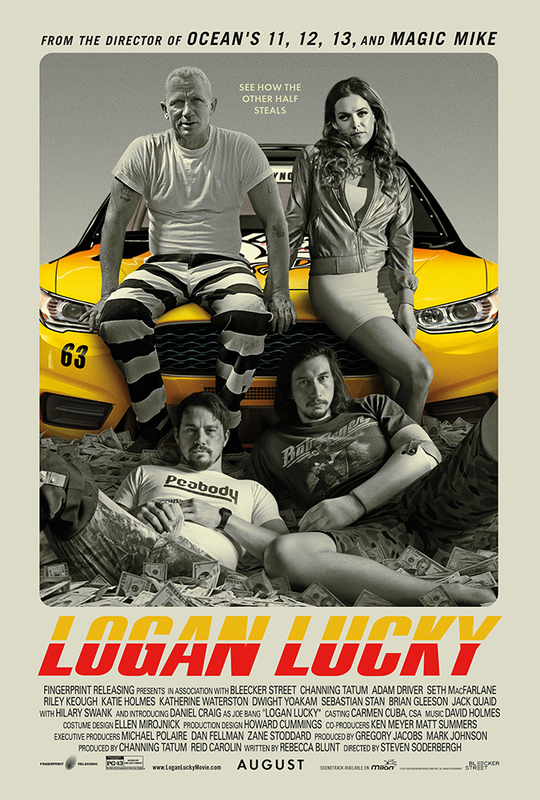 Find out more about Logan Lucky on IMDB. Sounds awesome, and agree with you – that’s a very interesting cast. Should be fun.